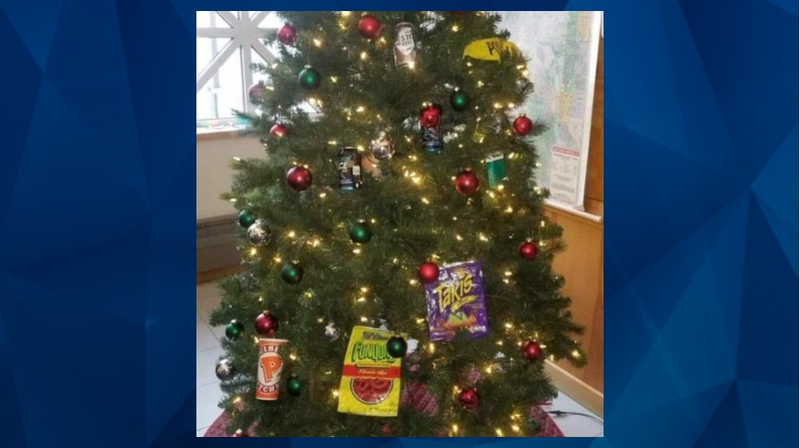 Authorities in Minnesota say two police officers are on leave following a controversy surrounding decorations displayed on a Christmas Tree at a Minneapolis precinct. According to the Minneapolis Star Tribune, public backlash began to grow after local civil rights leader Ron Edwards shared the evidence of the perceived racism behind ornaments including a pack of Newport cigarettes, a can of malt liquor and a cup from a fast-food chicken restaurant chain. “It’s a modern-day version of a dog whistle, tainted with racism, specifically against the African-American community,” he said. As of the latest reports available, the two suspended officers were being paid as the internal investigation continued. City councilman Jeremiah Ellison also spoke out against the offensive decorations. “Man, every way I could put it would understate it,” he said. Ellison said the news was “disappointing” and “deeply disturbing” for him and those in the community.